An aptitude is a part of a excellence to do a certain sort of work at a certain level. Outstanding aptitude can be refer to as “Talent”. An aptitude may be physical or mental Aptitude is an innate potential to do certain kinds of work whether developed or undeveloped. Human Mind comprises upon specific tendency with respect to its keen interest level. The important thing is to sort out those directions and dimensions along with capabilities upon which your mind gives the best output. Generally mental ability refers to power of a mind to learn or retain knowledge or can be said as learning process. While aptitude is an inborn potential bestowed by Almighty. This shows a particular ability or direction in which a mind can only run with full of potential accordingly. Consequently mental aptitude help you to discover latent abilities and talent. In order to ascertain the level of Mental Aptitude its dire need to explore your mind through adopting various analytical skills and practices as well. Numerous IQ and Analytical tests are designed in order to determine about one’s propensity and tendency level. These tests are prove to be highly effective and helpful for exploring the natural mental capabilities. We are going to provide you the worthiness of your mental aptitude which shall help you to identify the your inborn potential. In this way you will be able to put your abilities in right direction instead of facing distractions accordingly. These tests are structured for the purpose of assessment of one’s mental interest level. These are likely to be organized for the educational as well as research purposes. It is mainly composed by various sections like Analytical reasoning, Quantitative, English, and subject based as well. Analytical portion usually encompass scenario based and statement based questions. While Quantitative includes Arithmetic, Algebra and geometry. English comprises sentence completion and comprehension as well. 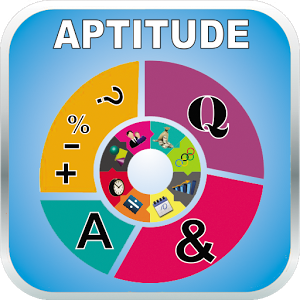 For example, aptitude test are organized in various educational institutions and Armed forces in order to get matching substance. These are best tools to measure ones’s intelligence level and mental tendencies accordingly. Fluid intelligence:-The ability to think and reason abstractly. Effectively solving problems along with strategic thinking. It’s commonly pronounce as “street smarts” or capable to think quickly on your feet. For example fluid intelligence is your suitability for the role for which you are applying at certain level or position accordingly. Crystallized intelligence:The ability to acquire knowledge from past experiences and to apply this learning to work-related scenarios. These Scenarios involve producing and analyzing written reports, assimilating work instructions, using numbers as a tool to make effective decisions as well. To Conclude, I can say that Mental Aptitude as well as intelligence tests play vital role in discovering the required potential and capabilities in an individual accordingly. In Pakistan such type of tests being organized by different educational institutions and employers as well for their organizations like NAT SAT etc. The core purpose for conduction of these tests is to deploy right candidate at right position. An individual with the help of these tests could be able to find out his hidden potential. In this way we can easily ascertain our keen interest and desired level of thirst in any field also.This pattern can also rescue us from distractions and illusions regarding our future concerns. We are going to provide best platform to exercise these tests as mentioned above.One must practice these tests in order to find out its mind Direction and dimensional level.